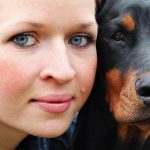 Interested in knowing that which type of dog is least likely to drool. Some of the characteristics of the dog breed. If you are thinking that if you purchase a small dog and it will take small space at your home or apartment then you are at a mistake. Some of the small dogs are very tough and difficult to handle because they have high energy. So make sure that if you are buying a thoroughbred dog, will it adjust at your place or not. There are some of the species of dog which are not friendly towards your family and to you, even if they are raised by you since their puppyhood. While some are so close and friendly whether they have come in your family just a day before. They show great love and affection. Dogs which have been raised inside the home and mostly stays within the family they are friendly in nature and show more affection to the family. If you have decided to keep dogs as your pet in your home then make sure that you make a deal with them. Because some of the species of dog shed their hair all over the place and the hair can be on your clothes, sofa, etc. While some don’t shed, they do this hardly. Some of the dogs are friendly in nature towards the other species while some are not. They like to enjoy and play with the dogs. Dogs are friendly in nature only if they are interacting with other puppies from their puppyhood. Make sure that if you have a dog with you then you should have enough time to give them. 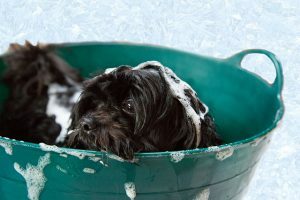 You should have time to give them a bath and other grooming like how to stay healthy. And if you don’t have enough time and you are crazy about having dogs at your home then you can also have a servant for them who will look after them. Dogs learn very quickly. They can be trained easily by the owners. You can make them learn how to sit, play and give a response to you. Some of the dogs have different diseases from which the owners should be aware of. But having a disease in a dog of one species doesn’t mean at all that all the other dogs of that species are affected. Every dog have its own nature, some likes to go on walk daily and some don’t. If you don’t take them out for walk and exercise they will start getting aggressive and will get their mood off. Exercise not only makes dog healthy, in fact, you will also stay healthy and can get rid of many of the diseases.Like heart disease and yes obesity too.